Fig. 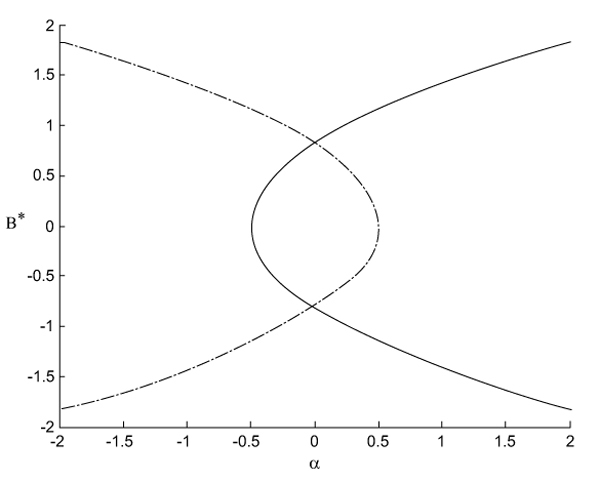 (4) The solid curve is the upper bound on amplitude of the in-phase limit cycle. The dashed-dot curve is the upper bound on the amplitude of the out-of-phase limit cycle.